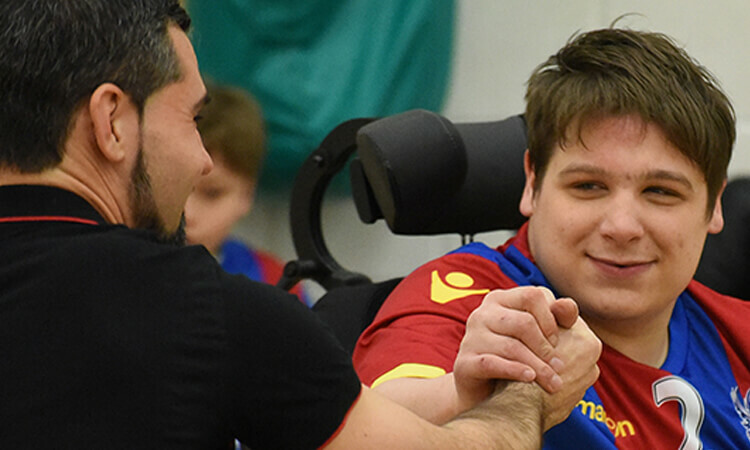 Life-long Crystal Palace fan Matt Sharp, 28, has been one of many success stories from the Palace for Life Foundation powerchair football team. Matt was diagnosed with Tourette syndrome and ADHD as a child and his involuntary tics caused him to shout and move parts of his body uncontrollably. After his spine was tragically damaged by a nervous spasm, Matt was restricted to a life in a wheelchair. Low on confidence, he started coming to match days at Selhurst Park as he felt comfortable in the loud and accepting environment. With a donation from the Julian Speroni fund and funding from the Premier League and the BT disability programme, the team has met its target of a chair per player – no mean feat, when you consider each chair cost around £6,000. As more players join the team, the Foundation continues to rely on fundraising and the free use of Waddon Leisure Centre, which is offered by Croydon Council.